Mother, Are You Out There? Is a tribute to Motherhood and Mothers. No one has a greater impact on our society than a Mother. A mother's nurturing influence has an everlasting effect on each of us. This book is mainly a non-fictional account of the influence and importance of the Mother's in my life. My unique and yet somewhat tragic experiences with mothers have given me an insightful perspective on the value of a mother. 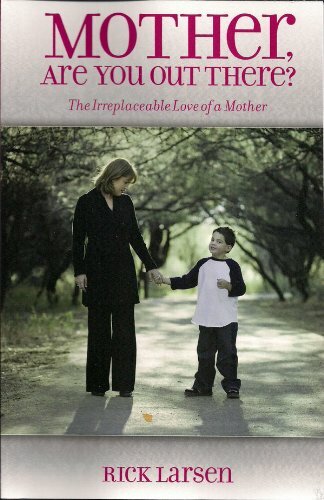 If you have experience with or know someone who has dealt with adoption, loss of a loved one, abandonment, non-traditional families, unplanned pregnancies, or if you are a mother, the words on the pages of this book will invoke feelings, emotions, and thoughts that will hopefully help you find healing and meaning in your relationships with those who are near and dear to you.